Chargemaster’s Polar network is now the largest rapid charging network in the UK, according to the firm, following the installation of the 300th unit. 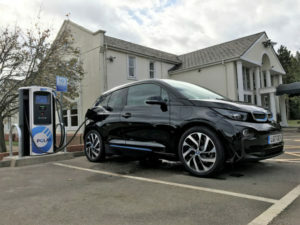 Located at the Best Western Garden Court Aylesbury hotel in Buckinghamshire, the new Ultracharge rapid charger joins other recent installations at Holiday Inn Express London Heathrow Terminal 5, intu Lakeside shopping centre in Essex and Lifton Farm Shop in Devon – in total, Chargemaster says it’s adding around 20 Ultracharge units to the network every month. Chargemaster offers its Ultracharge rapid charger units to site hosts at no cost to them, including installation, with the latest rapid charge points on the Polar network available to Polar Plus members via the subscription service.